Mehandi is also known as Henna. Explore latest collection of mehandi designs for 2018-19 with high quality images for accurate and easy learning of designs. 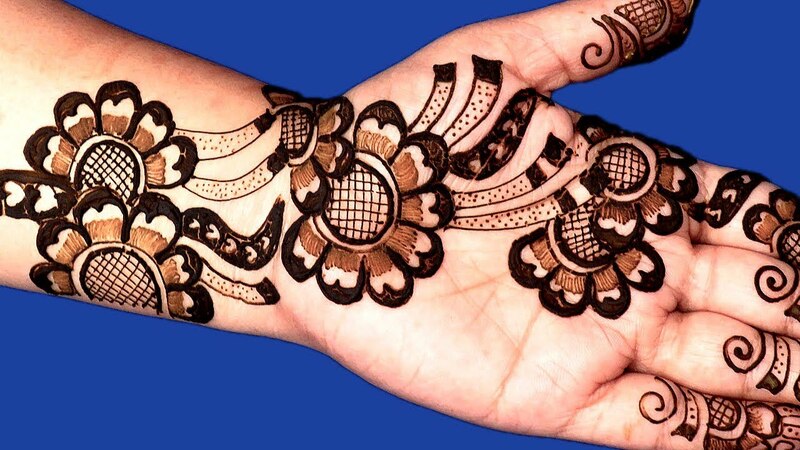 Find hundreds of henna designs and download your favourite styles for free. 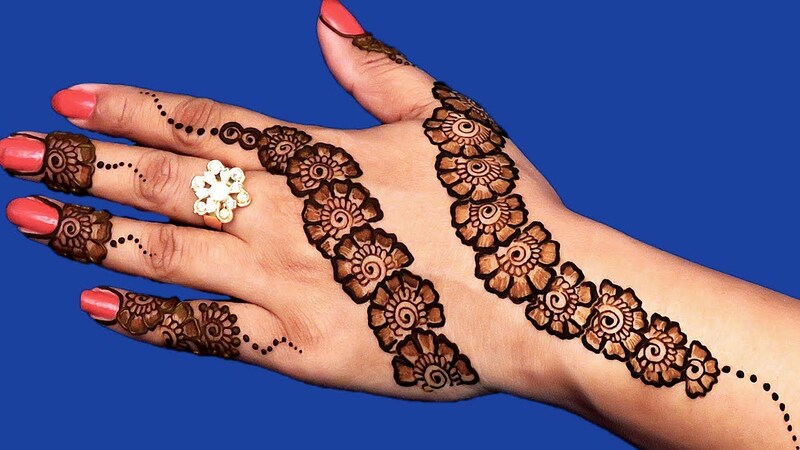 It's a perfect and traditional way of adorning the body parts including hands, feet, shoulder, fingers etc. Nowadays, it is becoming a necessary part of fashion for young girls and women. Occasions have no any value without attractive mehandi designs even Bride is incomplete without good looking mahandi. 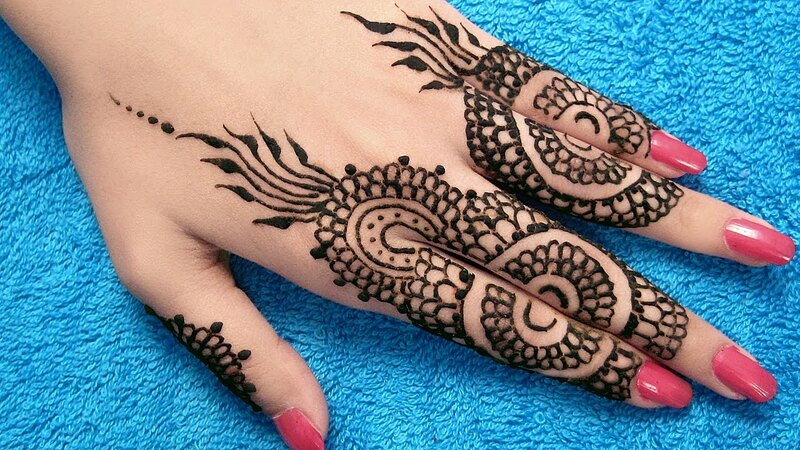 There are many latest henna designs for hands and feet available for wedding celebration, festivals or any other type of religious days such as Eid ul adha and Eid ul fitr. Mehndi is also a source of identifying the cultural because of its natural patterns. 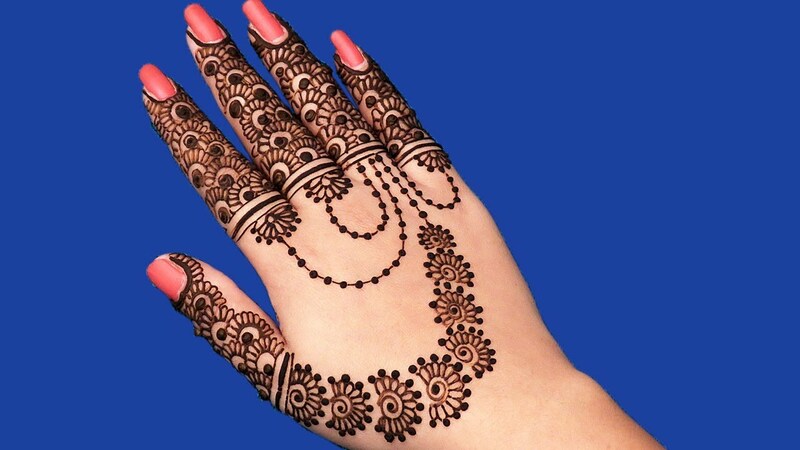 Here at KFoods, you can easily search out the latest mehandi henna designs 2018 that are enough to present the tradition of Pakistani culture and rest of the other countries. Get the latest pattern of mehandi from the collection of Arabic, Rajasthani and Pakistani culture. In Pakistan, the most popular place for mehandi designs is "meena bazaar" in Karachi. Every year lots of unique patterns of mehandi are introduced. 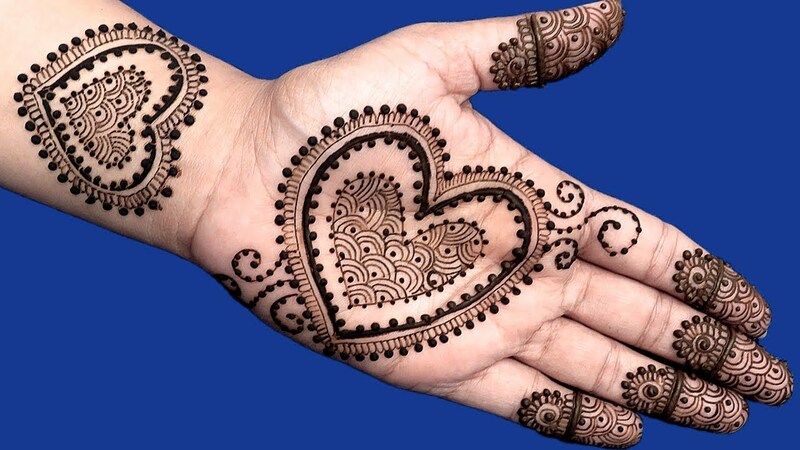 Women can easily use these mehndi art on their hands, arms and feet. 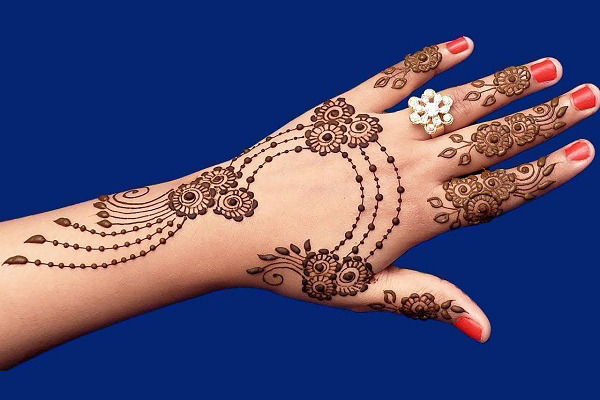 View bridal and kids mehndi designs for Eid. I am going to apply this beautiful and delicate design on Eid this year. I really liked the design. My artist applied this mehendi design on my hand with black mehendi. It really looked beautiful on my hands and everyone asked for the design also. The decorations on this mehendi design match the outfit that I will be wearing for my cousin's wedding. The vibrant, yet simple design is sure to make my friends and other cousins jealous!